The Thysanura are flattened, wingless insects with 3 long, segmented tail filaments and long, thread-like antennae. Unusually for insects, once they reach adulthood they continue to periodically moult throughout the rest of their lives, which can last another four or five years. 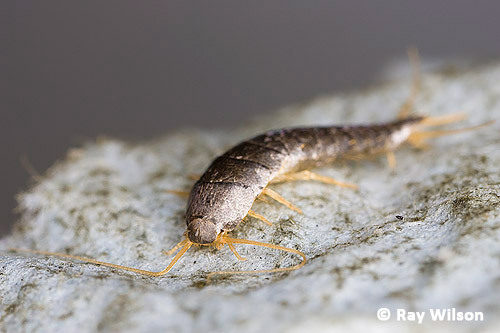 Silverfish are common nocturnal residents in houses, preferring slightly damp conditions and feeding on starchy materials such as paper, spilled flour or the glue from cartons. 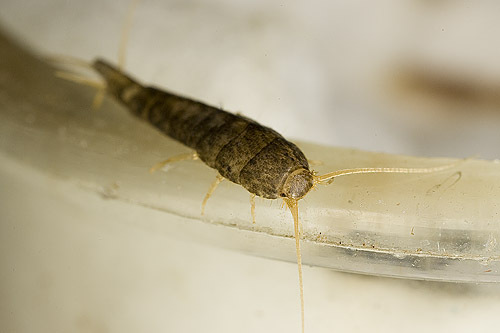 The only other British member of the Lepismatidae, the Firebrat (Thermobia domestica), prefers warmer conditions such as those found in bakeries and kitchens.